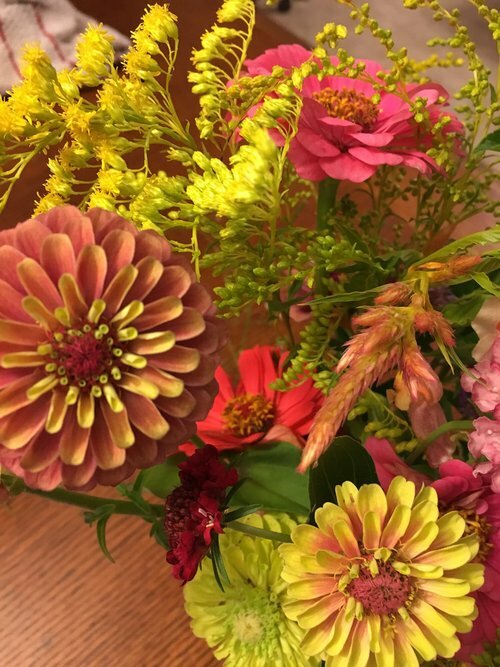 In the depths of winter, when color in the landscape is hard to come by and the flowers that filled our summer gardens exist only, for the time being, in our memories and imaginations, many of us decorate our homes with cut flowers. The sight of a bountiful bouquet of flowers, or the fragrance of lilies and other blossoms can do wonders for winter-weary spirits. Many of us also give and receive cut flowers for Valentine’s Day, which, as it happens, is coming right up. Whether your bouquet arrives by mail order or from a local shop, open the box or bag as soon as possible and carefully remove all packaging materials. 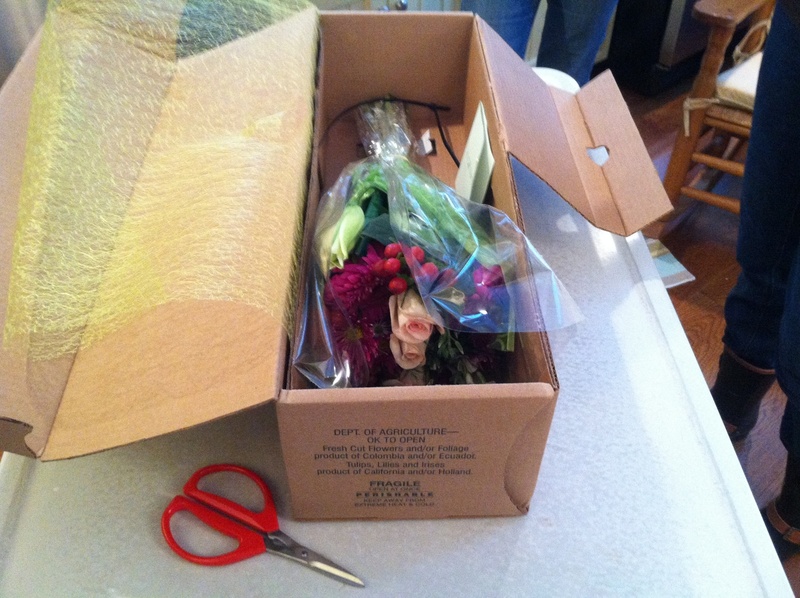 (If the flowers are wrapped in a cello sleeve, slice the sleeve off rather than pulling the flowers out. The same is true for rubber bands or plastic binders. Cut them and gently tug them off the stems. Pulling the stems free can break off petals, buds or blooms.) Set your flowers beside the sink. Find a vase you wish to use, or use the one that may have arrived with your bouquet. The vase should be sized appropriately for your flowers. Even the most beautiful bouquet will look terrible in a vessel that has too wide a neck (which causes the stems to splay and the bouquet to look sparse) or one that’s too small (which can crush or bruise the flower stems thereby shortening the life of your bouquet). In terms of height, designers generally select a vase that is 1½ times shorter than the stems. All of that said, the main idea is to please yourself, so choose the vase you love best or the one that has the most meaning to you. If the vase is your own, be sure it’s clean. 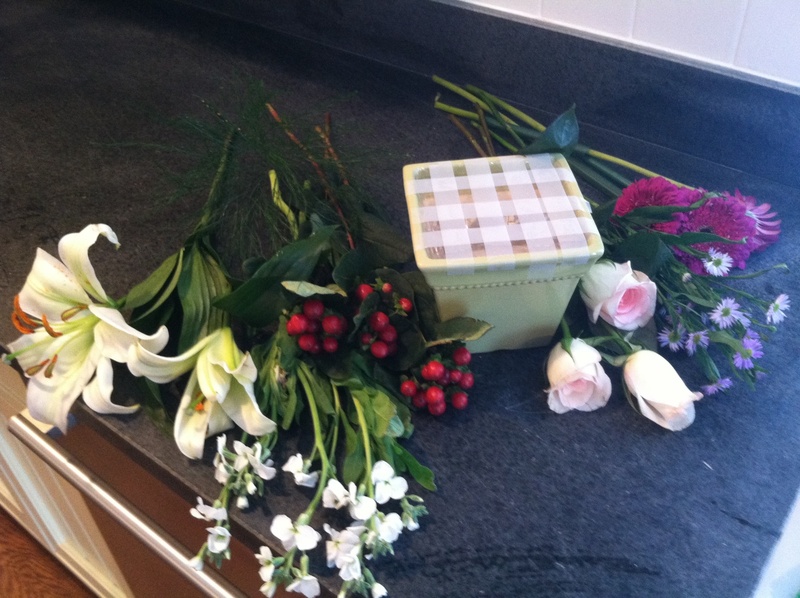 A general practice employed in the floral trade is to disinfect with a solution of 1 part bleach to 10 parts water. Make certain to rinse the vase thoroughly to eliminate the bleach. Fill your vase two-thirds full of lukewarm water. 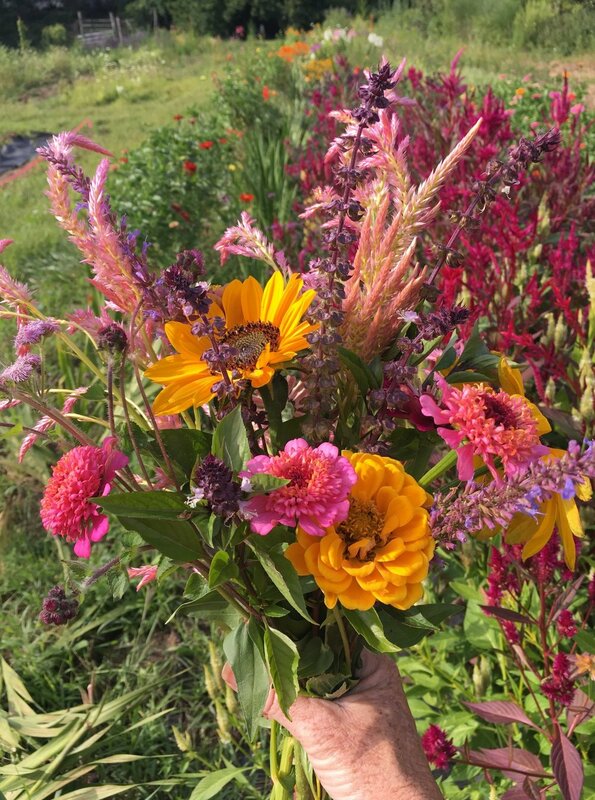 If plant food arrives with your bouquet (it will resemble a small sugar packet), take a minute to read the instructions on the label, which generally call for a small amount to be mixed in (not the whole package at once). Add the recommended amount to the water and stir it in. Do not add too much and overfeed as this may cause harm to your flowers. Conserve any remaining plant food for use in the coming days when you refresh the water. Remember that plant food does not always accompany bouquets. Many bulbous blooms such as lilies, tulips, daffodils and iris don’t require it. 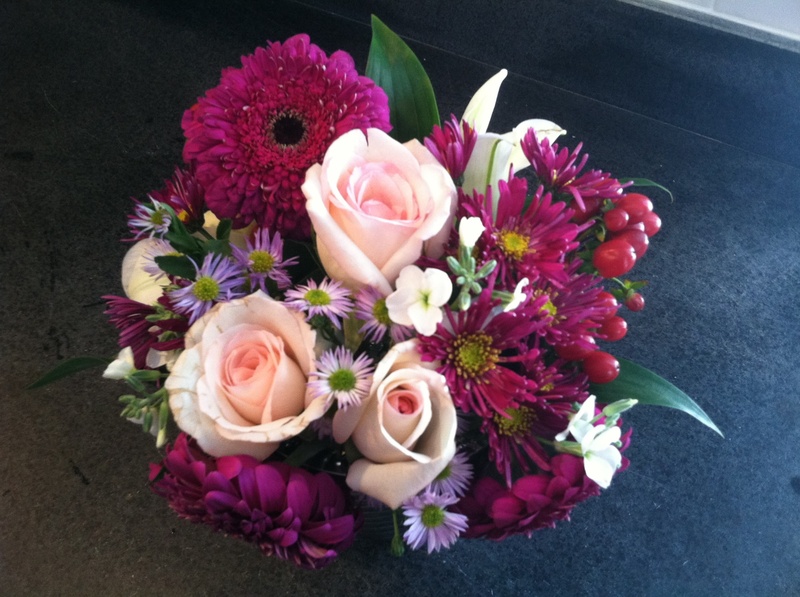 Flowers are easiest to arrange if they’re held in place. Use a flower frog or floral foam in the bottom of the vase, if possible, or use cello tape to create a lattice pattern across the top of the vase, leaving openings at intervals for the stems. 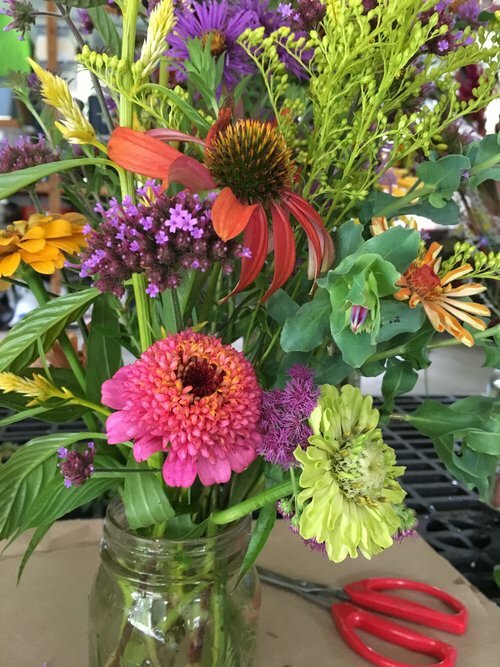 Using a pair of sharp scissors or pruners, cut at least 1 inch off the bottom of each stem, cutting the stems at an angle so they won’t sit flat against the bottom of the vase, inhibiting the uptake of water. Strip away any leaves that will otherwise be submerged in the vase. (Submerged leaves can invite bacteria.) Set each stem in water as quickly as possible. Continue with the other flowers in the bouquet, arranging them as you go. 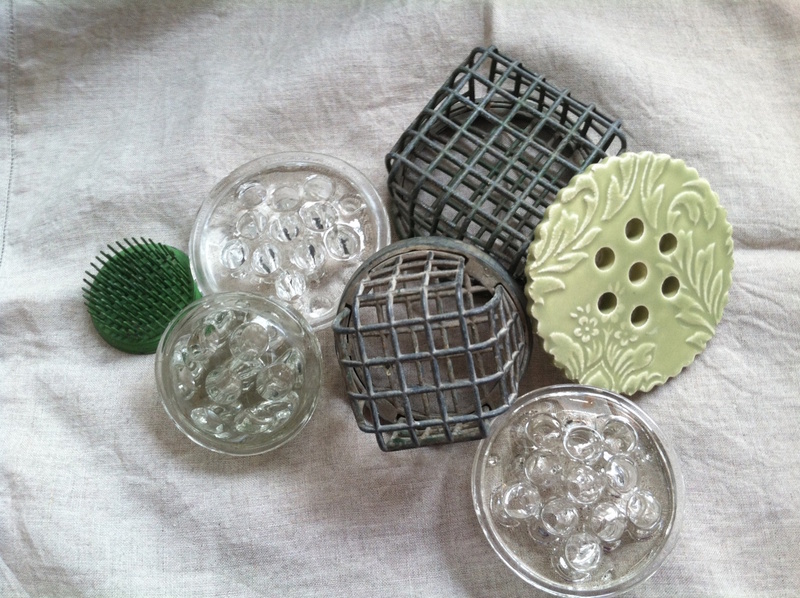 Don’t be afraid to pull them out and rearrange them to create a composition you like. Remember that some flowers including roses and lilies may arrive in bud stage and open gradually. Keep their mature sizes and shapes in mind as you place the stems. If you can’t fit all of the flowers into a single vase, try using extra vessels. 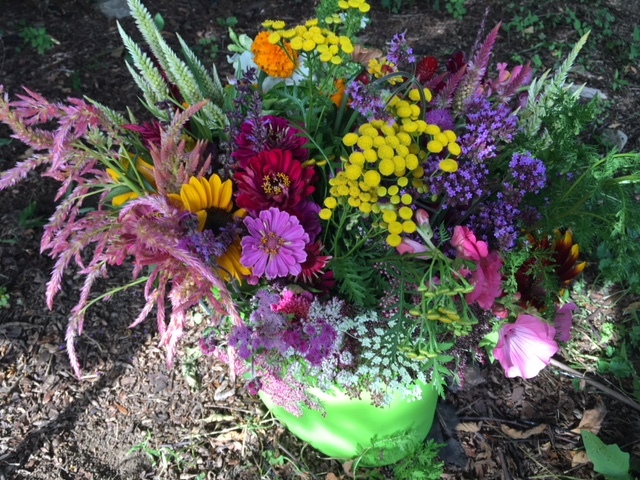 Likewise, if there’s a flower you don’t like in a mixed bouquet but would prefer to feature on its own, create two arrangements. Set your flowers in a bright spot with no direct sunlight. Avoid putting them on or alongside a heat source such as a radiator or fireplace. Check the water level regularly, adding more as needed. Change the water completely every few days to keep it fresh and clean, adding more plant food, if it came with your bouquet. If you see any flowers beginning to droop or “neck over,” trim their stems by another inch or so, and put them back in water. As days pass and some flowers naturally subside, remove and discard them. If a few flowers outlast all the others, transfer them to a smaller vase to enjoy them for as long as possible. All of this may sound like a lot of work for one bouquet of flowers, but we promise the preparations go quickly, most are plain common sense, and they’ll help you get the most out of your beautiful bouquet.